All your artwork is amazing. 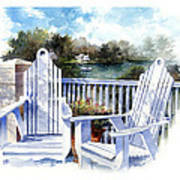 I am glad for see it today. 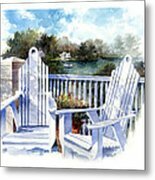 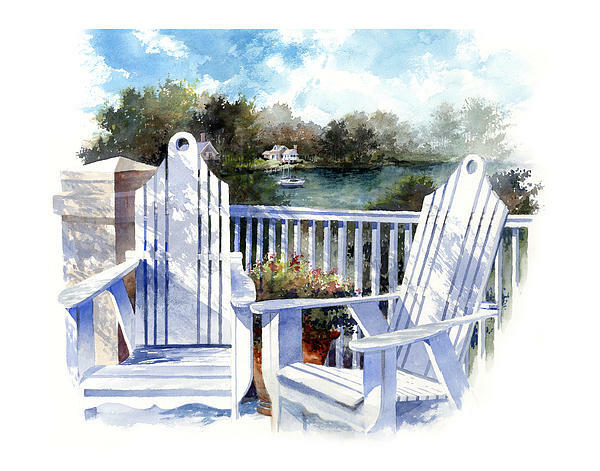 This is a watercolor painting of a beautiful vista from the porch of a beach vacation home, with two Adirondack chairs to enjoy the sunshine.